Demand has been high for Scenic Tours’ Grand Australia tour, so high in fact that they are now down to their last few rooms for 2014/15 departures. (TRAVPR.COM) UK - May 23rd, 2014 - Demand has been high for Scenic Tours’ Grand Australia tour, so high in fact that they are now down to their last few rooms for 2014 and early 2015 departures. The Grand Australia tour from Scenic Tours is one of the most popular escorted tours from this award-winning tour operator for a number of reasons. 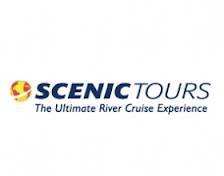 Whether it is the handpicked hotels, flights with leading airlines, free inbound stopover (available until 30th May) or the range of Scenic FreeChoice activities and dining options available, Scenic Tours go the extra mile to ensure that their guests have the time of their lives on an escorted tour of Australia. All this and more can be enjoyed on the 26 day Grand Australia tour, which is down to the last few rooms on the 21st October 2014 departure date and also on the departure dates for early 2015. There is still an opportunity to enjoy great savings – those who book one of these last few spaces before 30th May will also enjoy savings of £1,000 per couple and a free inbound stopover in one of Scenic Tours’ selected destinations. These include Singapore, Sentosa Island, Dubai Jumeirah Beach and Dubai City. These last few spaces are sure to be snapped up quickly, so get in touch with Scenic Tours soon to guarantee a place on the Grand Australia tour. Call for free on 0808 102 0154.